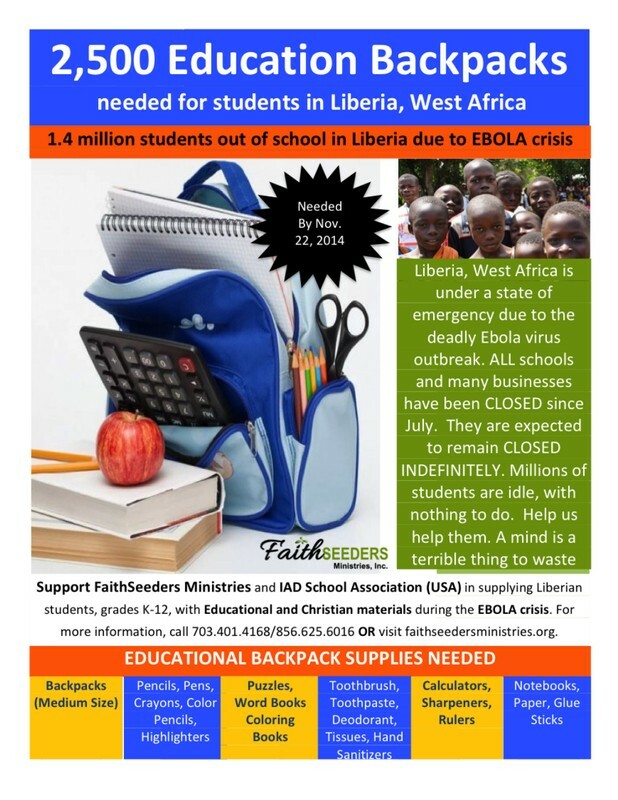 The IAD School Association, Inc. (USA) partnered with FaithSeeders Ministries to launch Project Education Backpacks for Students in Liberia (ebola crisis) in Sept. 2014. With generous donations from supporters, we were able to purchase, assemble, and ship almost 1,000 backpacks to Liberia in Feb. 2015. The backpacks contained school supplies appropriate for different grade levels, learning activities, reading books, Christian reading materials, and light toiletries. We praise God for the opportunity to have been a blessing in this small way. Thank you for your generosity and support.